You might have built an exceptional product but truth be told, the motto “if you build it they will come” will not apply if no one can find what you have built. Your brand will achieve more success online with actionable SEO strategies that are beneficial to SaaS companies. SaaS vs. Traditional Software: Why a Different SEO approach? 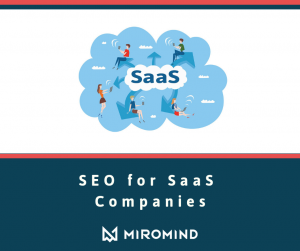 Since this guide is dedicated to revealing how SaaS companies can leverage SEO to increase traffic on their websites, it is important to point out the basic differences of cloud-based and traditional software tactics and the impact these have on SEO strategy. 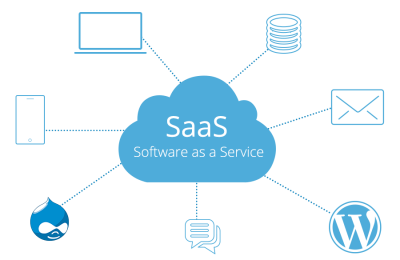 SaaS is a cloud subscription-based service which is regularly updated and accessible via the internet. Traditional software, on the other hand, is a product that has to be installed on the computer. And this is one of the major differences: SaaS is a service, while traditional software is a product. The way a SaaS company markets its products has to be very different from how a traditional software company conducts its marketing endeavors. SEO for SaaS company is tailor-made based on the service niche and target market. 1. Define the target market. Firstly and most importantly, you need to be very clear with the market you are targeting. This will determine your subsequent strategy, including keyword research and content plan. What is your target market? What companies/individuals would be/are using your services? For instance, you are offering a Marketing Automation dashboard which draws information from different sources and helps businesses analyze and visualize their data to keep track of any progress and make more informed decisions. Then your target market would be various sized businesses: SMEs (Small-Medium Enterprises) digital agencies, small start-ups, and marketing specialists as well as large enterprises with their own marketing departments. You are offering a service – not a product, however, you need to be clear as to who you are offering it to and what problems it solves for the companies. Defining your target market and your possible reach would mean that you will not miss out on any opportunities in the future during your keyword research and market expansion: each cluster of your target market could be looking for some specifics that your SaaS product offers. In the case of a dashboard, it could be compatibilty with certain CRMs for example. What does their backlink profile look like? 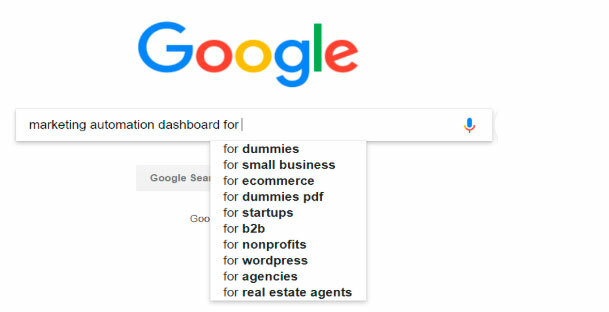 While researching your competition, aside from looking for ideas for your own SEO strategy, try to identify certain areas that make your services different. What do you have that they don’t? This might help you not only convert leads but also start by covering a certain niche that is not too overcrowded yet. This will also be researched at a later stage during keyword research, however, you need to pay attention at the early stages to make sure you don’t miss anything. 3. Start Drafting Website Wireframe. The wireframe represents your website structure: it is a visual of a sitemap. First, transfer all the existing pages (if any) from your website. Then using your earlier research add some ideas that you’ve come up with. This website wireframe will be modified many times during subsequent stages, this is an early draft. Add whatever idea comes to mind – you will check these during keyword research. As SaaS is a service that offers SOLUTIONS, focus on covering these problems/solutions in your website structure. As in the case with marketing automation dashboard, these solutions might include certain businesses (agency, real estate) or certain CRM compatibility (WordPress). This is one of the major differences between traditional software and SaaS, your product is versatile, so you need a more extensive research to cover all the potential traffic-relevant services. This is especially true if you do not yet have a popular brand name: the only way to get discovered in search is by solving issues that people look for. Your strategy might include certain branding and influencer strategies at a later stage, however, this is definitely a good place to start: covering your entire niche start to finish within your website. Now that your head is probably full of ideas for your SaaS website SEO we come to the most meticulous and important process of the entire strategy: keyword research. Why? Keyword research will form the core of your content, outreach and website structure strategies. Moreover, if you supplement your SEO efforts with contextual ads, then keyword research will be a great help that will help you to better optimize, target and convert your paid advertising efforts. It is no secret that keyword databases can vary depending on the tool that you are using. This means that every tool can uncover some new possibilities when it comes to keyword research. Try using various tools to ensure that do not miss out on possible niche opportunities. When you are working with B2B SaaS, more likely than not your service will be applicable to various businesses in various industries. Using the ideas that you have gathered during the initial strategy development and looking out for the new ones, divide your keywords into separate groups, or ‘clusters’. For instance, ‘marketing automation for real estate’ can include such keywords as ‘marketing automation for mortgage industry’. Separate keywords with commercial intent from the keywords with informational intent. For example, ‘best marketing automation in 2018’ is the keyword best suited for the blog post. At this stage, you would also finalize your website wireframe: based on the clusters finalize the pages, make sure there is enough search volume for each cluster and each page targets a certain set of keywords. It is crucial not to create keyword overlap across the website. Some of the keywords might show less than 10 searches per months. However, when you combine relevant searches on the same topic you might get the lead that will stay with you in the long run. While many companies ignore low search volume keywords, these keywords (especially with commercial intent) might deliver additional 2-3 leads for your SaaS services. Once you are done with keyword research, you need to start optimizing and/or creating your pages. Create titles, meta-descriptions, h1 and h2 tags. Titles and h tags should include the most relevant keywords, while meta-descriptions should best describe the content of the webpage to increase CTR. Backlink strategy is intended for increasing your domain authority. This is a very important part of any SEO strategy: the more NATURAL links your website has, the better the chances to take rank in top search results. Make sure to use diversified backlink profile and avoid commercial backlinks. Use equal amount both of branded anchors as well as keyword anchors that you have identified during keyword research. Ensure that the page the anchor is intended for is optimized for the same keywords as the anchor. For instance, if you are targeting homepage, use such anchors as your brand or ‘marketing automation dashboard’. Avoid using ‘buy marketing automation dashboard’ (commercial intent). Therefore each page or solution that you offer should have a diversified and well-researched anchor strategy. Every website that you are linking from should be relevant to your niche. Whether you offer services in financial, health or marketing sector, ensure that you carefully choose the websites that you link from. Plenty of websites have gotten penalties from search engines for low-quality inbound links. Try to look for websites that accept reviews of various software and services review websites: that way you both get the link to your website and implement the branding strategy. Content strategy should both be aimed at increasing your authority in the field and increasing your rankings. Although each page should be optimized for specific groups of keywords, content on your website should be informative and most importantly shareable. 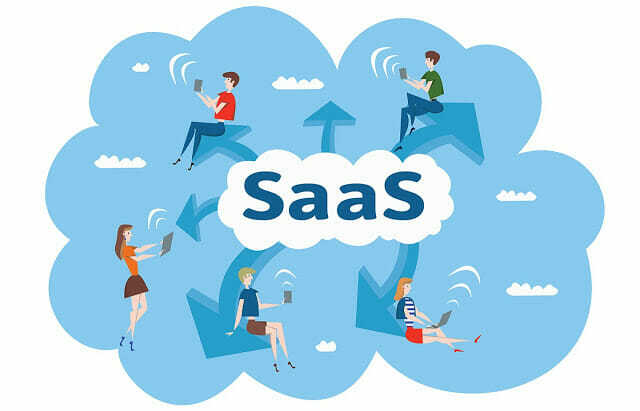 With most SaaS services offering solutions to a wide range of businesses, each page should outline benefits for each respective target cluster. For instance, small businesses might be looking for a different set of features than bigger enterprises. Therefore the content should both be optimized for search engines and ‘selling’. Outreach strategy for SaaS businesses has its own perks. You should not only build your highly relevant backlink profile but also establish authority in your niche as an expert in your field. Create your own online ‘personas’ who will pose as experts in the given field. Make sure that your content targets a certain ‘set’ of your target market. Try to write in-depth, niche relevant articles. Concentrate on long informative content as well as applicable ‘How To…’ guides (which you should have identified during the keyword research page). Therefore, the main difference between SaaS content and that of other companies is the need for any SaaS service to not only acquire natural links but at the same time build their ‘expert’ reputation online. Make sure that your pages are designed to drive conversions: easy-to-read and catchy elements, educational and contain a call to action where appropriate. With most SaaS companies offering monthly billing plans, offer free trial options. Although earlier mentioned, make sure that you target all your potential audience when planning pages and blog posts for your website. Keep track of your stats and KPIs: if you have certain pages that do not get traffic, analyze what could be wrong, perform keyword expansion, test various optimization options. If your page gets traffic but it does not convert into leads, make sure that your page is optimized for the right keywords, that it is intuitive, well-designed and does not have any technical issues.